Click Here To See Extra Cover Art Which Comes With The Main Image! Click Here To See Madame Xanadu #8 Comic Book! 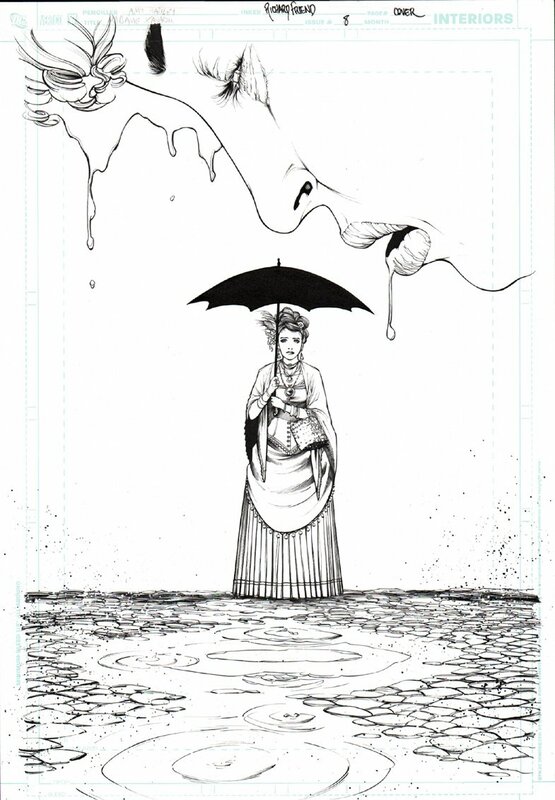 Check out this very nice Madame Xanadu cover which was penciled by Amy Reeder Hadley, and inked by Richard Friend, from the story titled: "How can this be?" 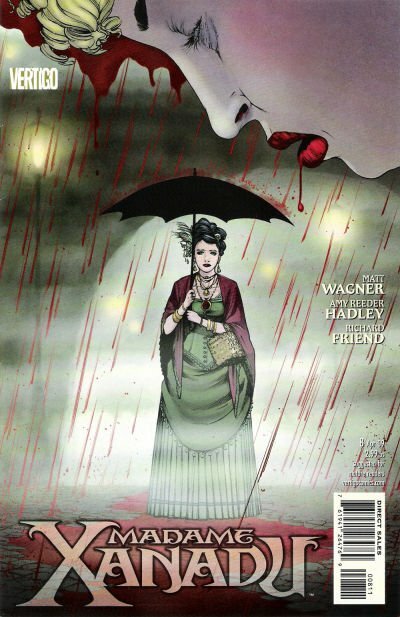 This nice cover features Madame Xanadu standing in the rain with an umbrella as BLOOD dripping from a giant woman's mouth is actually the rain! 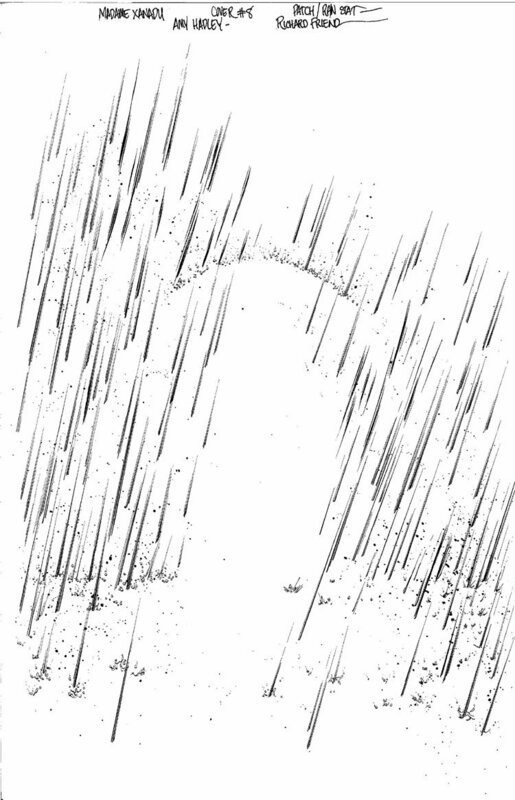 The rain drops are actually drawn on another cover stock art board which come with this cover above, and it can be seen by clicking the extra link above! Just a great cover! Compare this nice cover art to the published comic book in the red link above also!